Professor Kukulka is the coordinator of the Mechanical Engineering Technology (MET) program, teaches the various thermal sciences courses and is also responsible for teaching ENT 422, the MET Senior Design Class. 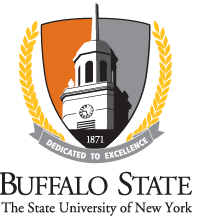 He has been on the faculty at Buffalo State since 1982. Dr Kukulka is the faculty adviser for the SAE sponsored Mini Baja Competition. His research interests are involved in process design and the fouling of process surfaces.